…a place where magic happens each and every day… a summer camp experience that opens up the imagination, nurtures the creative soul, inspires children and teenagers to reach for what they might have thought impossible… and to succeed! Fifteen year old voices blend in a vocal harmony they, themselves, have written… ten year old voices carry Shakespeare’s words through the air… four year olds discover their creative voices — and learn to share them freely… laughter, music, dance, blossoming friendships, the thrill of artistic accomplishments… these are the sights and sounds of PGT Summer Theatre. At PGT, it is our mission to provide an artistically challenging, creatively charged environment that is also warm and nurturing. While we strive to challenge each individual to work at the highest level possible, we firmly believe that true artistic success can only happen within a strong group dynamic. Our classes and rehearsals are steeped in the concept and practice of ensemble, allowing each student, and the group as a whole, to dream and to create… and to challenge themselves to discover their own talents and abilities. The Summer Theatre section of our website contains the details of the many camp programs which make up PGT Summer Theatre. 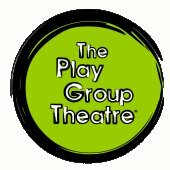 For more information, visit www.playgroup.org for information on PGT Summer Theatre's 1 week, 3 week and 6 week camp options for children and teens.